After nearly three weeks of on-field futility Topps has finally decided to issue the very first two Dodgers' 2018 Topps Now cards for collectors to chase after. As you know, the Dodgers have not been very good so far this season, so these new cards can only be a sign that things are looking up. 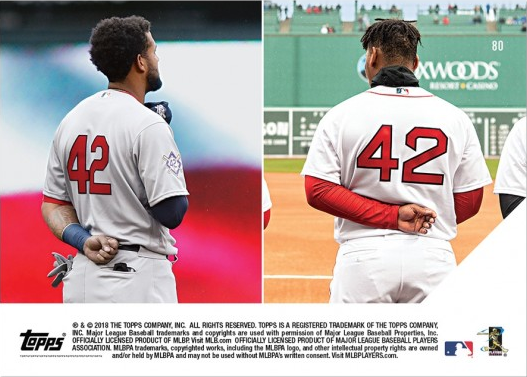 Featured here are Topps Now cards featuring both Clayton Kershaw and Yasiel Puig, and they both focus on yesterday's important day -- Jackie Robinson Day. Clayton Kershaw continues to show why he is one of the greatest pitchers of his generation. The Dodgers ace struck out 12 without a walk over seven impressive innings od one-run, two-hit ball. 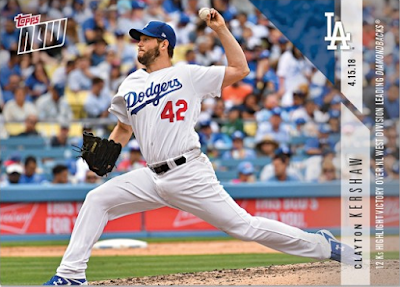 The game marked the 59th time Kershaw recorded double digits in strikeouts and seventh time he had 12. 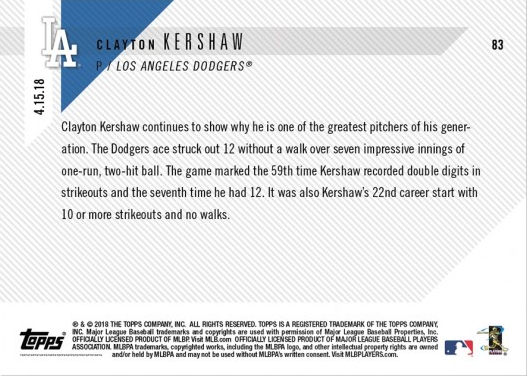 It was also Kershaw's 22nd career start with 10 or more strikeouts and no walks. 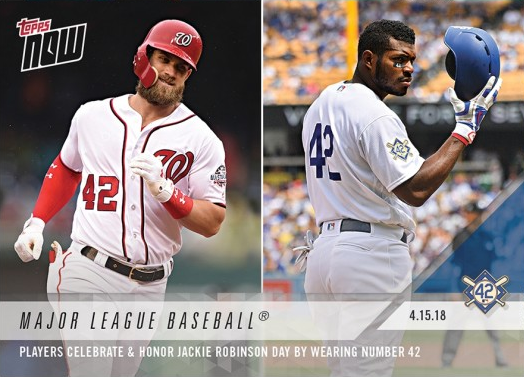 The Dodgers second card (#80) celebrates Jackie Robinson Day and it includes a photo of Yasiel Puig. Go here to check it out and order. Both of these highlighted cards can only be purchase online and over the next 24 hours.